Do you have a special bottle of wine that you want to enjoy by the glass? Do you live by yourself and rarely finish an entire bottle? Do you have guests over for dinner and want to serve different wines for pairing options? Wouldn’t it be great if we could do all of these things without having to worry about opened wine oxidizing or sparkling wine losing its fizz? The answer to your problem? Wine and sparkling wine preservation systems and methods. Read on to find out about the different methods of preserving an opened bottle of wine and sparkling wine, how they work, and which ones we recommend. zzysh® Wine does the best job of preserving wine, not just for days, but for weeks. No other wine preservation system can keep up with zzysh® in terms of performance. Though some high-end alternatives can certainly compete, when considering their prices, the choice is obvious! Private Preserve has positive reviews, but as oxygen remains in the bottle, problems could arise. Other systems, such as a vacuum pump or the inflatable cork, may help extend the life span of wine for a few days, but never be able to fully preserve it. With sparkling wine, keeping the wine refrigerated is a must for keeping it fresh for a few extra days when sealed with a special stopper. However, zzysh® Champagne is the only system that preserves a bottle’s natural taste and fizz for weeks after opened. Most of us claim that deciding what to do with an unfinished bottle of wine is a problem that rarely arises. But surely that’s not true. Unfortunately, an opened bottle of wine only stays fresh for one to three days, and we have all been in a situation where we ended up pouring wine down the sink! The issue of preserving an opened bottle of wine might arise when we have people over for dinner, when we want just one glass of wine, or when we want to open both a red and a white wine for pairing options. Sound familiar? Wouldn’t it be great if we could open any bottle of wine, drink only the amount we really want, and preserve the rest? 2. What happens to opened wine and sparkling wine? As soon as you uncork a bottle, oxygen begins to interact with the wine and change its composition over time. At first, this is actually a good thing, as oxygen encourages wine to open up and release its aromas (this can be encouraged by swirling the wine in the glass, decanting or aerating). If, however, wine is exposed to oxygen for an extended period of time, it will start to degrade and slowly turn into vinegar. In short, it will lose its flavor, taste and color. As far as sparkling wine goes, there is an additional problem to the oxidation process. 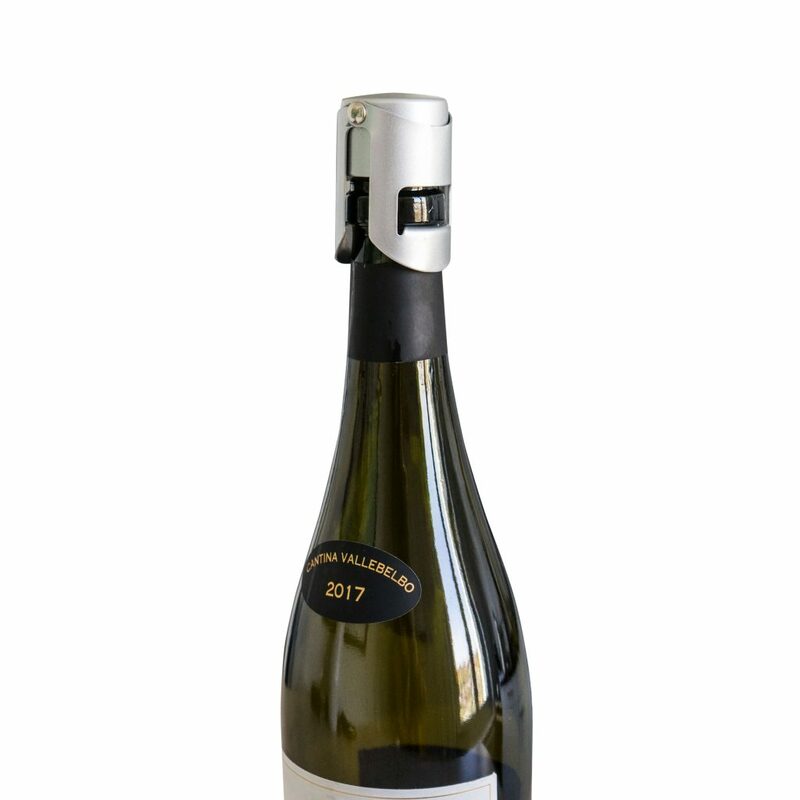 Once the bottle has been opened, it begins to lose carbonation, which leaves a sparkling wine flat. These processes are why it is important to properly preserve wine, in order to enjoy an opened bottle of wine and sparkling wine again and again. Read on to find out what the different ways to preserve an opened bottle of wine and sparkling wine are, how they work, and which ones we recommend. 1. Replacing the air in the opened bottle by using an inflatable corking system. For example: The Air Cork. 2. Extracting the air in the opened bottle by creating a vacuum. For example: Vacu Vin. 3. Protecting the wine surface with a layer of gas. For example: basic systems like gas canisters from Private Preserve or other high-end tools such as zzysh®. There is some debate as to whether refrigerating wine is an effective method of preservation. Some experts say that the cold temperature slows down the oxidation process, while others say the opposite, that oxygen dissolves more easily in cooler liquids. While there is no definite answer, if you do decide to store your opened wine in the fridge, make sure you keep it upright instead of lying it down: this will ensure less of the wine’s surface area will come into contact with air. Inflatable cork systems such as the Air Cork are designed to seal air tightly within the bottle. 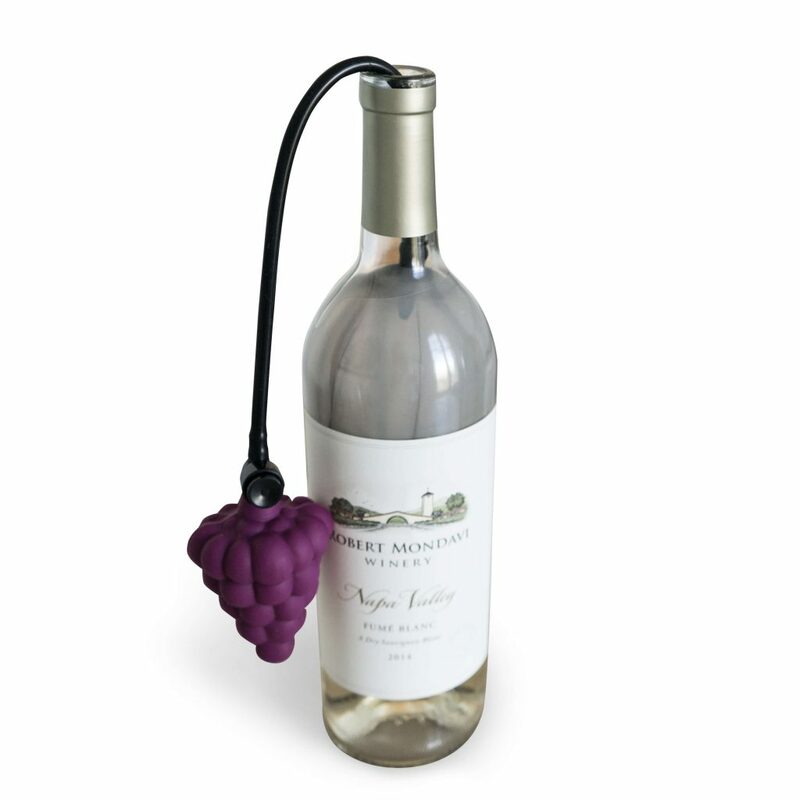 You begin by lowering the deflated balloon into the bottle until it reaches the wine and then squeeze the bulb pump to inflate the balloon. Once the balloon forms a seal against the sides of the bottle, you can stop pumping. It is crucial to get the height right so there is minimal air trapped between the balloon and the surface. At best, this system will help to keep wine fresh for an extra three days. However, critics that have tested the Air Cork reported their wine had a very distinct chemical taste to it after just two days of keeping it sealed. Many experts fear that the rubber balloon has negative effects on the taste of the wine and would therefore not recommend it. Vacuum pumps work by extracting air from the bottle and resealing them with a stopper. Vacu Vin is a widely available option. The advantage of this gadget is that a “click” sound tells you when you have reached the optimum vacuum level. Vacuum pumps are widely used because they are inexpensive and people believe they are a simple and effective way to preserve an opened bottle of wine. Unfortunately, tests have shown that such a device can only create a vacuum that is about 70% complete. This leaves plenty of air in the bottle, plus there is a risk that over time, the seal will leak. Using a vacuum pump might keep wine fresh for up to three days, working best if combined with refrigeration. Systems that use the inert gas argon, or other gas mixtures to preserve wine, work by replacing the oxygen in the bottle with gas, and/or by creating a protective layer on the wine surface. The two main advantages of argon are that it is non-reactive and heavier than air. By covering the wine with a layer of 100% argon, it is protected from coming in contact with air and thus doesn’t oxidize. There are several wine-preserving systems that use argon or a mixture of gases that contain argon, such as Private Preserve and zzysh®. Private Preserve is a system that comes in a canister containing a mixture of nitrogen, argon, and carbon dioxide. 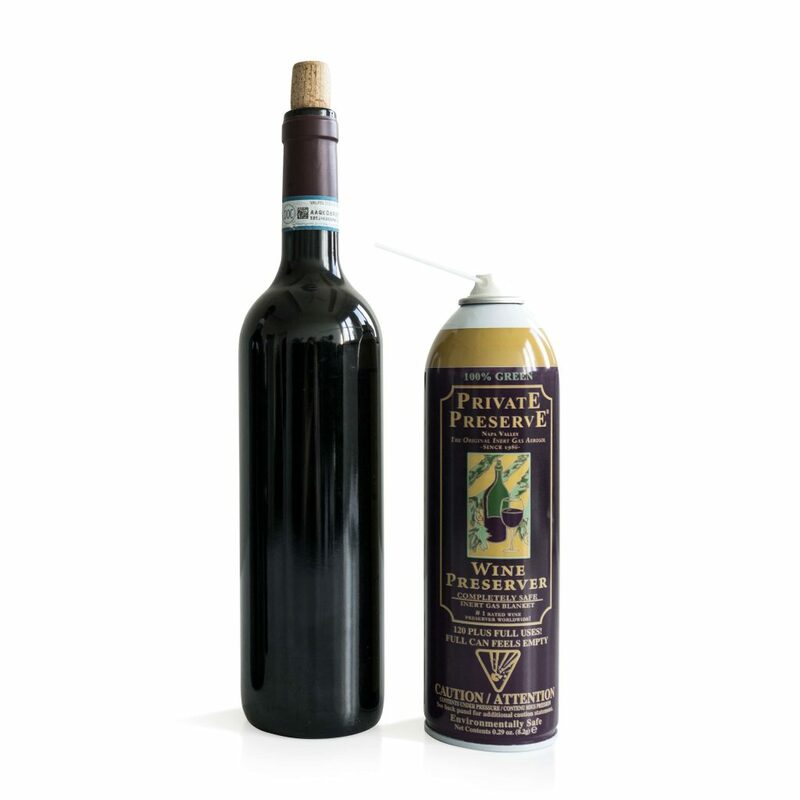 It is applied to an open bottle to create an invisible protective blanket between the wine and the oxygen inside, before sealing once more with a cork. Put the tip of the extension tube inside the neck of the bottle. Spray one long (one sec.) and four short bursts into a 750ml bottle. Re-cork immediately and store upright. The advantage of this wine-preserving system is that it is inexpensive, only about $12 a can, and can be used up to 120 times per can. The clear disadvantage is that it doesn’t come with a stopper and you have to reuse the cork, which can be a hassle. In addition, oxygen is still inside the bottle and only separated from the wine. Through carbon dioxide and pH reduction, wine may turn acidic. Much like other high-end wine preservation systems, zzysh® Wine replaces the air in a bottle with argon gas. In combination with the stopper, this works to protect the wine from oxidation, ensuring flavor, taste and color are all retained. 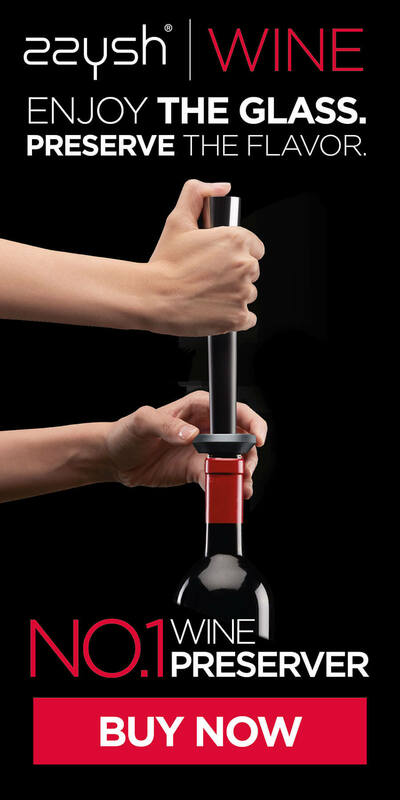 After the bottle has been opened, tightly close the bottle with the innovative zzysh® stopper. Attach the hand piece and press down for 3-4 seconds, allowing the protective atmosphere to flow into the bottle and preserve taste. When removing the hand piece, hold on to the stopper to make sure it stays in place. In addition to a wide range of trials by independent testers who for the most part rated the function and benefits of zzysh® very positively, zzysh® was also tested by several sommeliers around the world. Wine and Champagne bottles were re-closed with zzysh® after opening and were flown around the world to allow the same bottles to be tasted by different, recognized sommeliers. The extremely positive feedback and test results indicate how effective zzysh® is. Compared to other wine-preserving systems, zzysh® clearly has the best cost-benefit ratio. 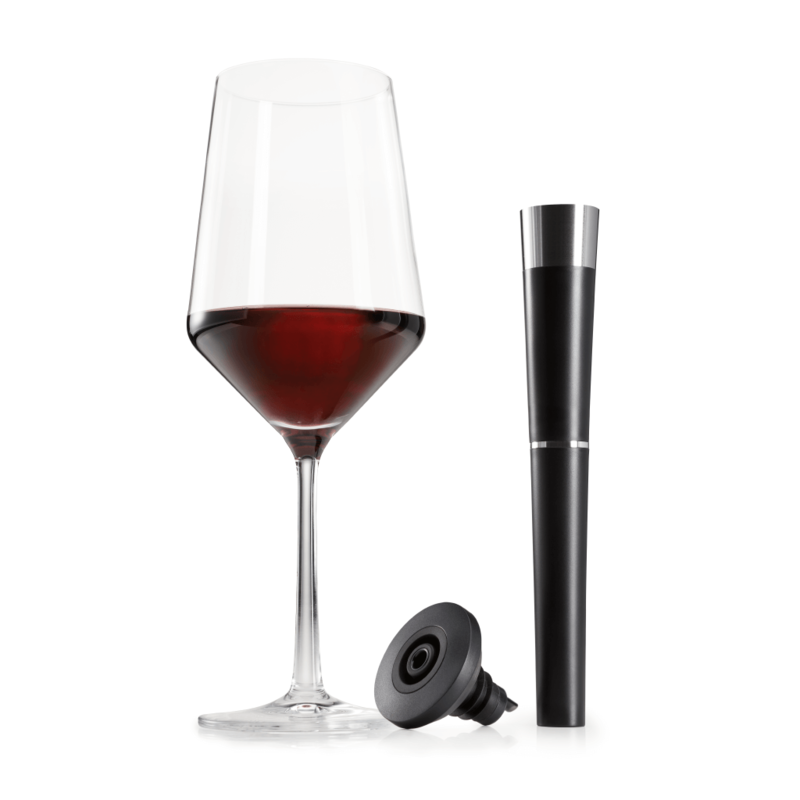 A zzysh® Wine Starterset costs $69.60, and additional cartridges can be purchased for $19.19 for a pack of five. Moreover, the design is extremely elegant, easy to use and suitable for any household. First of all, opened sparkling wine must be refrigerated, as this helps preserve fizz. Cold is a great preserver of carbon dioxide as well, especially in liquids. Even a brief exposure to warm air can make sparkling wine lose its bubbles faster. This is the case when we leave our open bottle of sparkling wine out for easy access. It is therefore important that opened sparkling wine is stored in the cold at all times. This can help extend its fizziness for hours, sometimes even days, at a time. This is a pretty straight forward method. 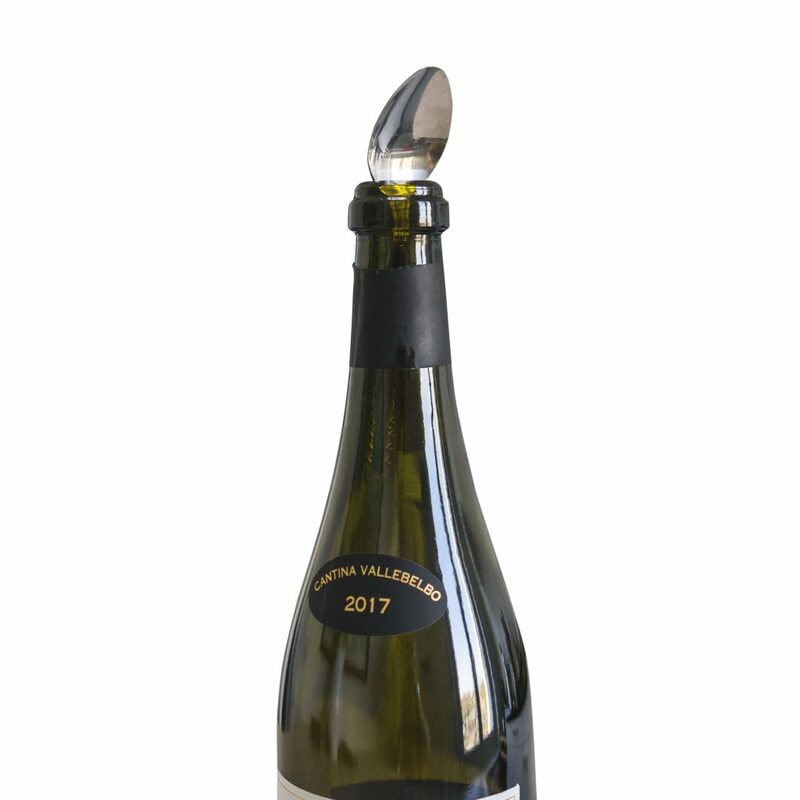 However, it is important that the stopper is specifically designed for sparkling wine, as a regular wine stopper will be forced out of the bottle by the carbon dioxide. This method will help extend the life-span of your wine by one to two days, and you can find several different types of stoppers for around $10. Some stoppers come in combination with a pump to inject air into the bottle to pressurize it. This might be a good alternative to creating a vacuum, although the oxygen won’t do your bubbly any favors over time! One trick for keeping sparkling wine fresh that has been around for ages is using a spoon. The idea is that by putting a teaspoon’s handle down into the neck of a bottle, your bubbly will stay fizzy for at least an extra day. Myth? Probably. Opinions on this one are split, but research conducted by Stanford University’s chemist, Richard Zare, found that it doesn’t work. There was no significant difference between leaving the sparkling wine uncorked or with a silver spoon in the neck. zzysh® Champagne is a preservation system that works not only on Champagne, but all sparkling wines. 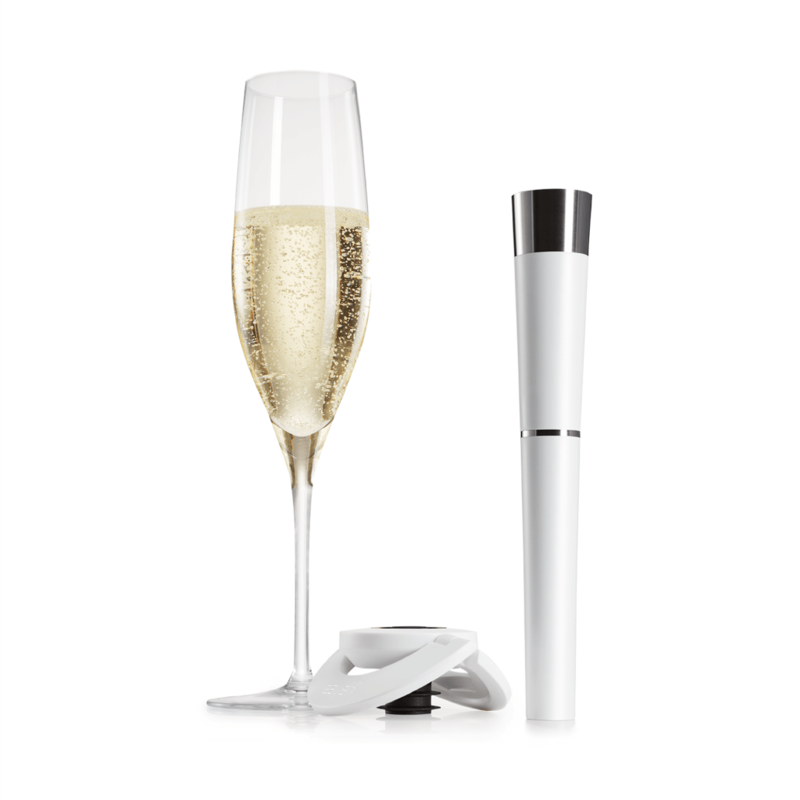 The unique technology of zzysh® Champagne pressurizes the air in the sparkling wine bottle with a mixture of argon and carbon dioxide. In combination with the stopper, it protects the sparkling wine from oxidation, ensuring flavor, taste, fizz and color are all retained. The application is exactly the same as with the zzysh® Wine. 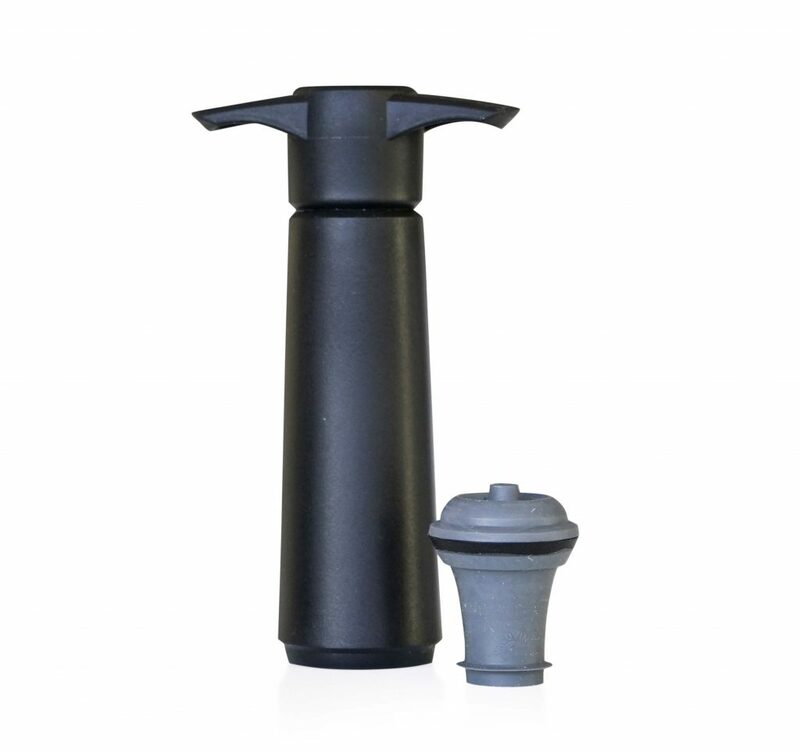 After the bottle has been opened, tightly close the bottle with the innovative zzysh® stopper. Attach the hand piece and press down for 3-4 seconds, allowing the protective atmosphere to flow into the bottle and preserve taste. When removing the hand piece, hold on to the stopper to make sure it stays in place. Unlike other sparkling wine preserving methods, such as using a spoon or refrigerating it, zzysh® Champagne actually works and will preserve a bottle’s natural taste and fizz for weeks after it is opened. Several tests have shown that zzysh® Champagne works to keep Champagne fresh. For example, a recent test performed by a sommelier and wine judge compared an unopened bottle of Champagne to one that was preserved with zzysh® for 21 days. After being blindfolded and tasting the different Champagnes, the experts could not tell a difference! The price for a zzysh® Champagne Starterset is $69.90, and additional cartridges can be purchased for $19.19 for a pack of five. For wine, methods such as the vacuum pump and the inflatable cork work best in combination with keeping the bottle refrigerated, but they are not suitable for preserving wine for more than a few days. The advantage of Private Preserve is clearly the price, and it seems to do a decent job of preserving opened wine as well. This method has a weakness though, as oxygen stays in the bottle. Other high-end preservers using argon gas have had positive results, but their downside is definitely the device’s price and complexity. Unless you are extremely serious about wine, you will most likely not want to invest several hundred dollars for a wine preservation system. zzysh® is a system that works just as well as these high-end devices, but comes at a fraction of the cost. Furthermore, its sleek design and easy application are also quite attractive. As far as preserving sparkling wine goes, keeping it refrigerated is a precondition for all other methods to work. While using a spoon is most likely a myth and does not work, closing the opened sparkling wine with a good stopper can help keep it fresh for an extra day or two. But if you want to properly preserve the flavor, taste, fizz and color of your sparkling wine, zzysh® Champagne works best. It does an amazing job in keeping Champagne bubbly for weeks after the bottle has been opened – something that no other method even comes close to achieving.